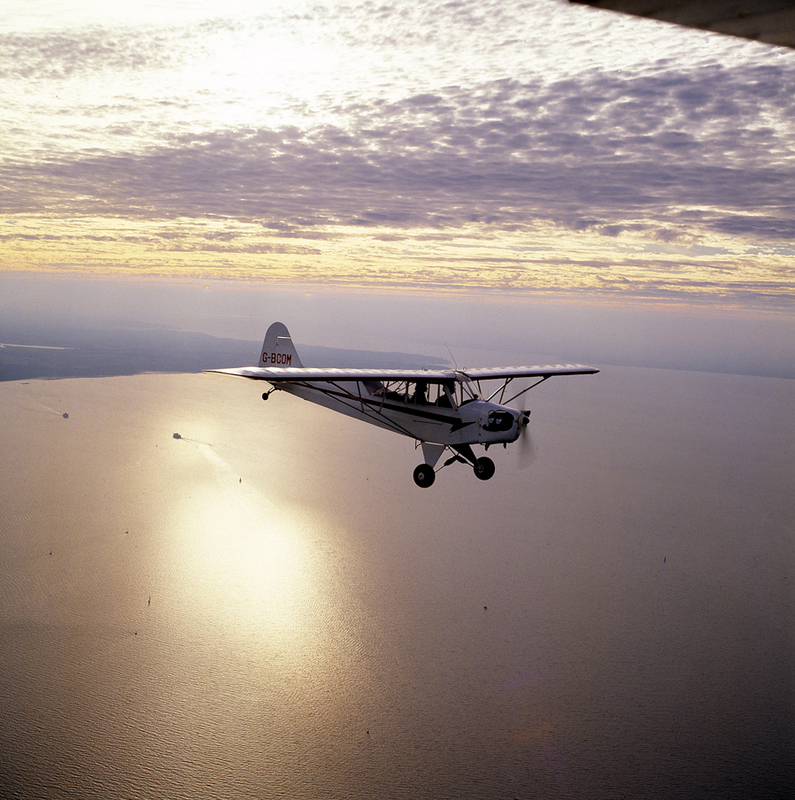 When I was producing my first book on air-to-air photography I needed to have a camera plane on regular standby so I took a deep breath and became part owner of this Piper Cub. I had many, many enjoyable flights in this aircraft and it was ideal as a camera platform as the doors on the right-hand side of the fuselage could be opened in flight to allow a clear view for photography. This particular day I thought that I would like to get some shots of the aircraft and so, returning from the Isle of Wight to Shoreham I got this shot over The Solent late one summer’s afternoon. Shortly after we landed the sun was setting and that mackerel sky turned the most amazing shades of red I had ever seen, stretching from the horizon to directly above our heads. Alas, by then we were firmly on terra firma and it is but a memory rather than recorded on photograph. It was days like this that made my life in the air so wonderful.